It’s been quite a while since I featured a drink on the blog here, but this one I felt was classy enough that I just had to review it! With the 3 primary ingredients being far from cheap, before you even mix this it’s a drink of a very different caliber. You’ll start with a strong citrus aroma and a pleasantly “classic” amber color of the drink. The drink starts with a sweet flavor, and slowly moves to warm and herbal, and finishes with a bit of oaky cognac. This a truly classic style drink with a strong bite and a complex set of flavors. The only thing that holds this drink back is my use of a cheaper VS Cognac. With an older aged variety, this drink could become even better! Stir all but lemon with ice. Strain into a chilled cocktail glass. Shake with ice and strain into a chilled cocktail glass. Garnish with a maraschino cherry. Well it had to have happened sooner or later the first mediocre cocktail of the year. The Simply Crimson just lacks something interesting and tries to replace it with something bitter…and it just doesn’t really deliver. The drink smells a bit like oranges thanks to the Cointreau, but also a bit like a generic brown soft drink which isn’t super inviting. The drink starts sweet and pleasant moves quickly to a orange and cranberry mix, and finishes with a harsh bitter taste that just doesn’t belong at all. 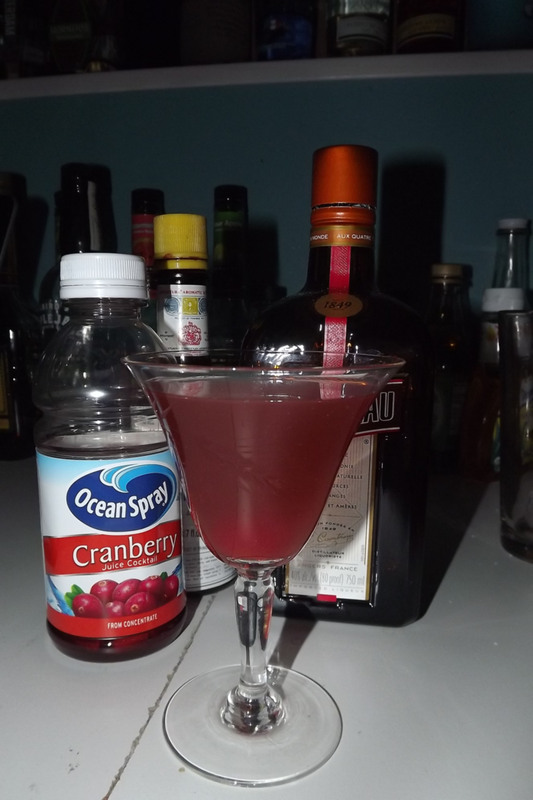 It is a drinkable cocktail, but it certainly isn’t one I’d choose to drink (or even make again). Stir Cointreau, bitters, and juice with ice. Strain into a chilled cocktail glass, top with club soda. Today we’ve got a classy cocktail with a solid flavor. 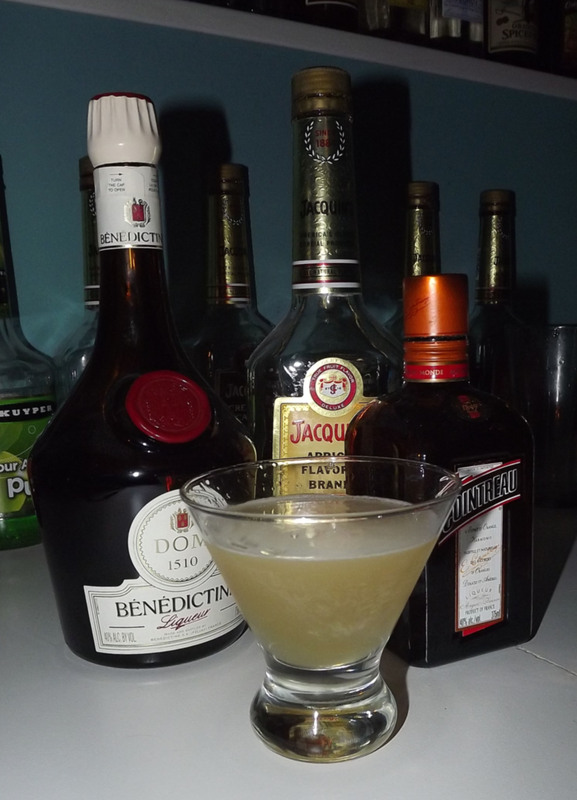 The Sidecar Royale has a classic sandy color with citrus and herbal aromas. It starts on a mildly sweet note, moves to a sweet brandy taste, then finishes with an earthy herbal and brandy bite. If you have or can find some Benedictine you might want to give this one a try. 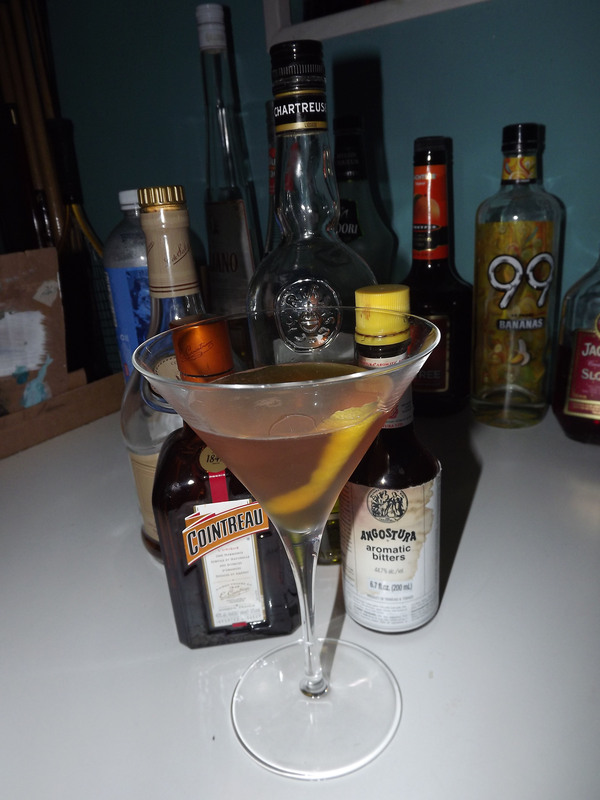 The original recipe calls for either brandy or cognac, but in my bar all I have is flavored brandies. I figured Apricot would fit this drink quite well (and it did). Although a more pure brandy would have the same flavor profile as my mix. So today I need recap on the past month from episodes of the show. First we have the Red Snapper Shot from June 4th which is a great recipe that yields 2-3 shots. Finally we have today’s festive 4th of July Shot. It’s a powerful orange blast both in aroma and taste. The presentation (as with any layered drink) is quite impressive and really matches with the Red, White, and Blue theme. 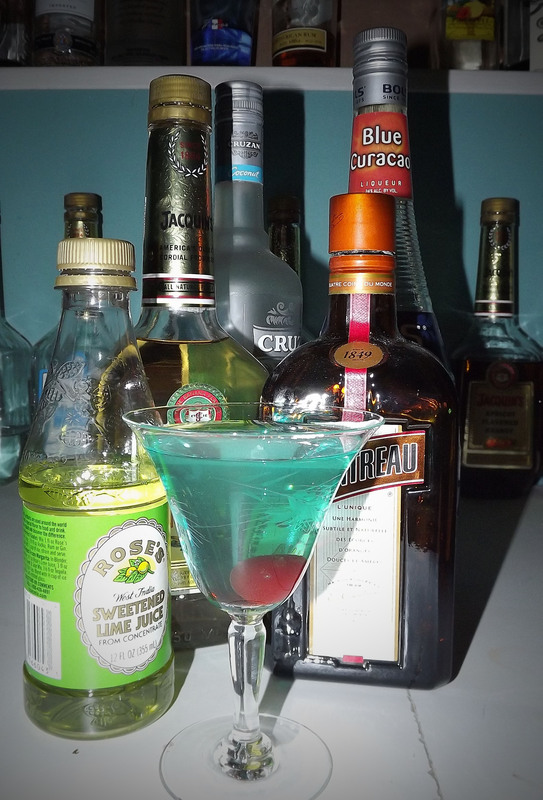 Although there is also a “Red, White, and Blue Shot” (made with peach schnapps instead of Cointreau), I found this version layered much easier and made for a better demo. For my initial reaction check out the new episode (9) of the show. Layer in order in a presentation shot glass.